A couple of weeks ago I spent a few days in the Morecambe Bay / Leighton Moss area of Lancashire. Waking early on the first morning I had arrived at Leighton Moss’s Lower Hide by daybreak – well, it’s not that early this time of year! The windows were smothered in frost so I opened one and peered out. Little egrets were leaving their roost in some scrubby woodland opposite and I counted fifty-seven altogether. How quickly times change in nature…….. Then, all of a sudden, a robin appeared on the window frame about nine inches from my face! It turned out to be the tamest robin I have ever come across. It was obviously a regular visitor because there was a scattering of bird seed on the window ledge, but I got the impression that it genuinely wanted some human company. Apart from the couple of hours when I went for brunch I was in the hide all day. The robin was never more than a few yards away and usually actually inside it, despite an often full compliment of human visitors being present as well. The robin seemed to be paying particular attention to something lying on an empty bench at the back of the hide, so I went over to investigate. It was a laminated photograph of a robin, which had originally been attached to the hide wall. Every time I held it up the real robin pecked the eye of the robin in the photograph. Over and over again, absolutely consistently. I held the photograph up and slowly turned it round. The real robin would go round the back to investigate. It was absolutely fascinating. And yet I didn’t feel that the real robin was genuinely angry. It seemed to be playing a game in the same way that a dog will repeatedly bring back a thrown stick. Well, small things please small minds, you might be thinking. What else took my attention? Leighton Moss seemed to be bursting with two elusive reedbed species, water rails and bitterns, and I had excellent views of both. The former were pecking around the edges of the reeds in several places, but they are extremely nimble and you need lightning fast reflexes to be able to photograph one. One spent quite some time sun-bathing not far from the hide. It must have been asleep because the white nictating membrane in the eye was visible. 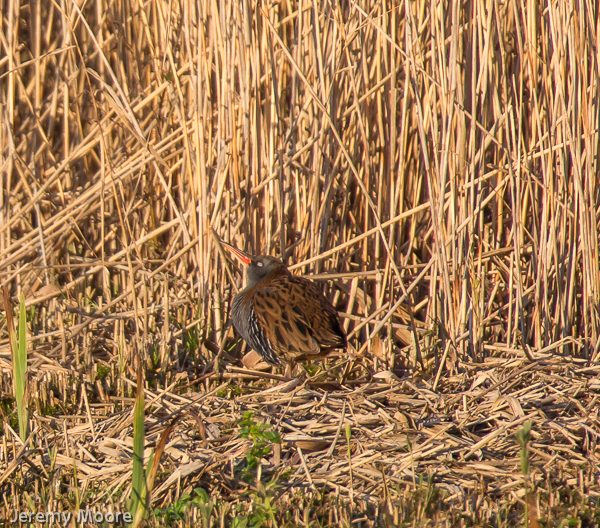 Another spent a long while in and out of vegetation directly below the hide window, but by that time it was almost dark; I’m still searching for the perfect water rail image, or even something useable. I do get the impression that water rails are common than they were ten or twenty years ago, though. It is nearly always exciting to see a bittern although at a big reedbed like Leighton Moss one does get a little blasé about distant half-views of them creeping in and out of the reeds. Reserve staff reckoned there were between nine and eleven birds present last winter, and on my visit several flew towards a particular area of the reedbed from late afternoon onwards. I guessed they were roosting communally.The above was captured on one of these late afternoon flights, but I’m still searching for the classic bittern shot too! This entry was posted in Uncategorized and tagged aggression, aggressive behaviour, agreession, bird photography, bittern, bitterns, leighton moss, robin, water rail, water rails. Bookmark the permalink. 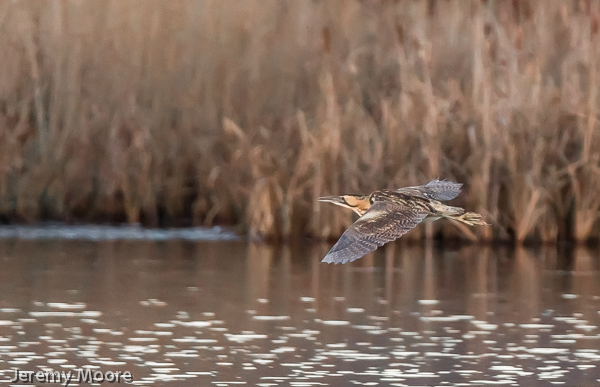 Two lovely shots …….. very envious of the bittern, haven’t seen one for years! Gosh, that was quick off the mark! Bitterns are definitely around in winter. It’s just a matter of putting the hours in, I think. And it has to be said, the RSPB has created some fantastic reedbeds in recent years. 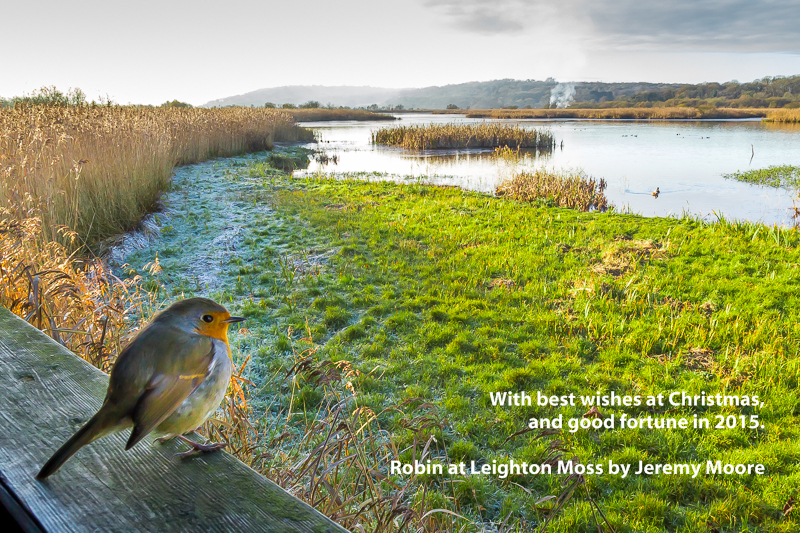 I was at Leighton Moss on December 2nd and met the Robin. He was inside the hide and kept attacking the laminated Robin photo. Someone turned the photo round and he gave up and went back to eating seeds. Didn’t see the Bittern, but did see an Otter which made up for it. Almost an amazing co-incidence but I was there on the 3rd. Maybe the rather glorious weather on the 3rd tempted the bitterns out. There was no shortage of them. Thanks for subscribing. There’s plenty on the blog with bird interest, if that’s your bag. Have a look around!